Spider-Man: Into the Spider-Verse. Photo credit: Cal Arts. Actor-comedian and Oscar-nominated writer Kumail Nanjiani and actress–producer–director Tracee Ellis Ross announced the 91st Oscars nominations Tuesday, live from the Academy’s headquarters in Beverly Hills. 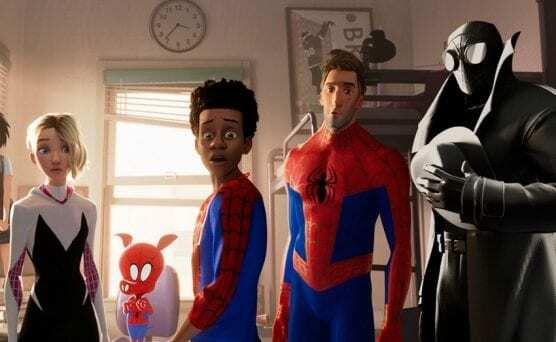 “Incredibles 2” was directed by Brad Bird (Film/Video BFA 76), who also wrote the script; “Ralph Breaks the Internet” was directed by Rich Moore (Film/Video 87) with Phil Johnston; and “Spider-man: Into the Spider-Verse” was directed by Bob Persichetti (Film/Video BFA 96), Peter Ramsey and Rodney Rothman. The other two feature films nominated were “Isle of Dogs” by Wes Anderson and “Mirai” by Mamoru Hosoda and Yuichiro Saito. In the Short Animated Film category, former Character Animation faculty member Andrew Chesworth was nominated for “One Small Step,” a film he directed with Bobby Pontillas. Nanjiani and Ross announced the nominees in 9 categories at 5:20 a.m., and the remaining 15 categories at 5:30 a.m. Active members of the Academy are eligible to vote for the winners in all 24 categories beginning Tuesday, Feb. 12, through Tuesday, Feb. 19.